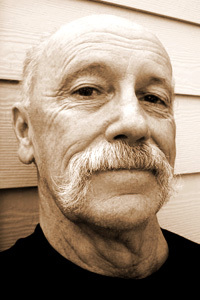 Allan Peterson is the author of two full–length collections of poetry, As Much As (forthcoming from Salmon Press) and All the Lavish in Common (University of Massachusetts Press, 2006) which won the 2005 Juniper Prize. His chapbook Omnivore (Bateau, 2009) won the Boom Chapbook Contest.Peterson’s work has appeared or is forthcoming in Gulf Coast, Northwest Review, Ouroboros, Notre Dame Review, Shenandoah, and Denver Quarterly. He is the recipient of the 2009 Dos Cosas Award from Words and Images and the American Poet Prize from The American Poetry Journal.